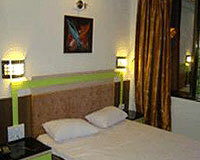 Hotel Rajesh is located near the main market area. 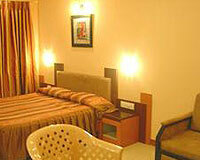 Located centrally in the heart of town, it is at a walkable distance from all the major tourist attractions of the city. 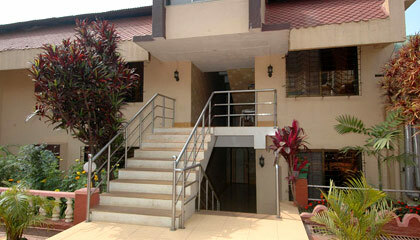 Hotel Rajesh is a 3 Star hotel in Mahabaleshwar that has a high reputation for personalized service, luxurious accommodation and mostly for its mouth-watering Gujarati Cuisine. 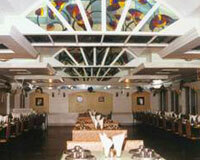 The hotel is situated away from the maddening crowd of the city, surrounded by the scenic beauty of the hill station. It is also located at a walkable distance from all travel points. 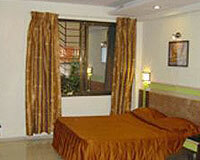 Hotel Rajesh provides all the modern amenities and services for a comfortable stay. 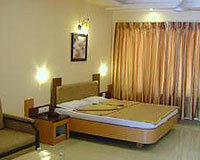 Accommodation at Hotel Rajesh is categorized into Super Deluxe Rooms (A/C), Classic Rooms (A/C) and Deluxe Rooms (Non A/C). 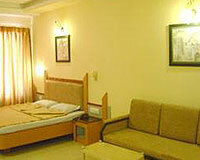 The rooms are equipped with classic interiors along with elegant furnishings. 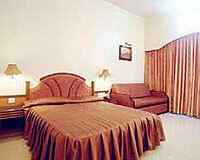 All the rooms have satellite television and telephone. Copyright © Savion Travel Services Pvt. Ltd.